Belmont Community School is a popular and successful school for students aged 11-16. It is situated on a spacious green campus site in a leafy eastern suburb of Durham City. Our vision for the school is quite simple; we want the best for and from our students. I am extremely proud to welcome you to our school. This prospectus gives you a flavour of what makes Belmont Community School such a vibrant, happy and special place to learn. At Belmont we strive to create an environment where we all give our best, in order to achieve the best possible academic standards. 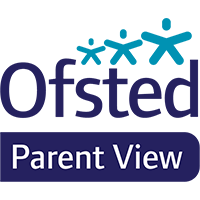 We believe every child is an individual and that with clear rules, firm discipline and high quality pastoral care we can give the best opportunities for all children to achieve, irrespective of starting points, background or interests. Our philosophy is based on the highest expectations, doing the simple things right and that hard work will be rewarded. I am confident that Belmont’s calm and friendly working atmosphere, combined with our strong focus on achievement, the arts and sports,provide children with a great place to learn and succeed in Durham.